This listing is for engraving service only, a watch box is not included. This engraving service is only applicable to cases with clear top only. Select the personalisation style & font below, write your desired word or text then add to cart, for custom design please email us the details. Looking for something unique for the loved one? 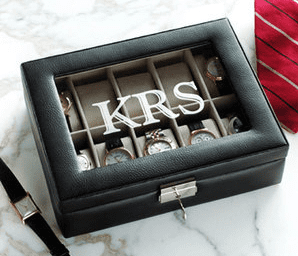 A Personalised watch box is the right choice for you. This engraving service is only applicable to cases with clear top only, watch winder is not engravable.